Today team sports for kids and adults are more competitive than ever before. Although being part a team is important and has so many benefits, sports-related injuries are on the rise as competition and league sports become more intense. Thankfully, there is much that can be done to prevent and treat injury, and regular chiropractic care is essential for all athletes. Dr. Mark Arsenault is trained and licensed to treat the entire neuromusculoskeletal system and can provide advice on sports training, nutrition and injury prevention to young athletes. We treat the entire body and want to accomplish our goal of getting your out of our office quickly, and back into the game! Highly competitive sports such as football, gymnastics and wrestling follow rigorous training schedules that can be potentially dangerous to growing bodies, teenagers, and adults. The best advice all athletes can get is to prepare their bodies and to learn to protect themselves from sports related injuries before they happen. When your structure is aligned properly, your joints are more at ease and able to adapt to forces and shocks that can happen during sports activities. An additional benefit of a spine in alignment is having no interference pinching on the central nervous system. This allows your brain to communicate fully and tell the rest of the body how to react and perform. 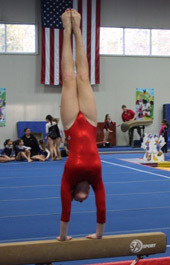 Competitive gymnasts have specialized needs to prevent injury or caring for their injuries. The strong training in gymnastics can be extremely demanding on young, developing bodies. Many gymnasts from North Hampton and Portsmouth rely on our office to prevent injury in addition to getting them back to competition fast and pain-free when injuries do occur. Structural alignment integrity is essential for the extreme ranges of motion that are scene in a typical gymnastics routine. Chiropractic care keeps gymnasts’ joints moving most efficiently to increase balance and coordination and to avoid overuse injuries. “I see a many gymnasts in my practice. It is clear that chiropractic care is extremely valuable in injury prevention for these young developing bodies undergoing such a demanding sport. I often see patients with injuries like spondylolisthesis, and I always stress the importance of care prior to injuries as well. Regular chiropractic care for gymnasts reduces the physical stress of typical gymnastics routines, and prevents chronic injuries that can last into adulthood,” explains Dr. Mark Arsenault. Chiropractic care should be an essential part of preparation for any gymnast to keep them returning to competition safely and focusing on getting to the next level. Getting aligned and staying aligned allows your body to evenly handle the hard pounding it takes when you run. The high impact of running can lead to long-term pain and injury if you continue to run without being properly aligned. We see patients who have been running with poor alignment for pain in the feet, shoulders, lower back or even pinched nerves and sciatica. Runners are particularly prone to posterior chain weakness or lower crossed syndrome, both of which require adjustments to align the frame for long-term correction. We also see runners suffering from plantar fasciitis, shin splints, ankle sprains, knee pain and hip pain. Chiropractic care focuses on function, and not necessarily pain, to hopefully prevent injuries before they happen. A runner in alignment will definitely be less likely to sustain an injury. 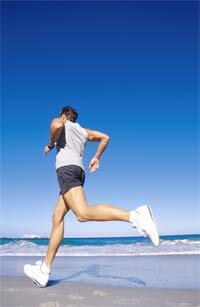 Chiropractic care also gets an athlete back on track faster than if they have already sustained an injury. Golf is as popular as ever! We see many patients who want to make sure they are feeling their best and can keep playing golf! Chiropractic care relieves pain and increases mobility in your joints. Increasing your range of motion keeps you in the game. We become less flexible with age and immobility (working at a desk job, sitting, and driving). Swinging a golf club requires the collaboration on the part of many joints from the feet up to the hands, including ankles, knees, hips, spine, elbows and wrists. Decreased flexibility can lead to decreased range of motion and pain. Chiropractic care corrects and prevents joint injuries. Improved posture and flexibility allows for longer and more powerful drives. Did you know that nearly 75% of the Pros receive regular chiropractic care while on tour each year? Football puts huge demand on its players. Chiropractic care is essential to a football player’s performance on the field, and more importantly for the prevention of football- related injuries. For 20 years, Dr. Mark Arsenault has been helping football players prevent and recover from injuries sustained on the football field. Injury prevention for any athlete starts with keeping their body healthy and optimized. Our chiropractic care is designed to do just that. Keeping your body’s spine (it’s foundation) in proper alignment and not pinching on any nerves in the central nervous system, keeps you stronger to better react to impact during a football game. Chiropractic care focuses on the health and function of the entire body, with particular emphasis on the skeletal system, muscular system and central nervous system. Chiropractic care helps keep vertebrae in the proper alignment, which allows the muscles in the neck and back to be stronger to avoid injury. Hockey is a rough contact sport, and very popular in the Northeast! The risk of concussion during a hockey game is extremely high. Keeping your neck properly aligned increases neck strength and better avoids injury. Unfortunately, the numbers of neck and back injuries have increased, as many people rely on equipment that can’t always protect them. A common problem with hockey players is groin and hip flexor sprain/strains. These can be caused by lack of stretching, strengthening, conditioning or poor mechanics. Chiropractic alignments restore balance to your structure and allow your muscles to work properly and become stronger. If you are an athlete who is suffering from an injury or pain, or if you are just working hard to improve your performance, call us today to schedule an appointment with Dr. Arsenault.